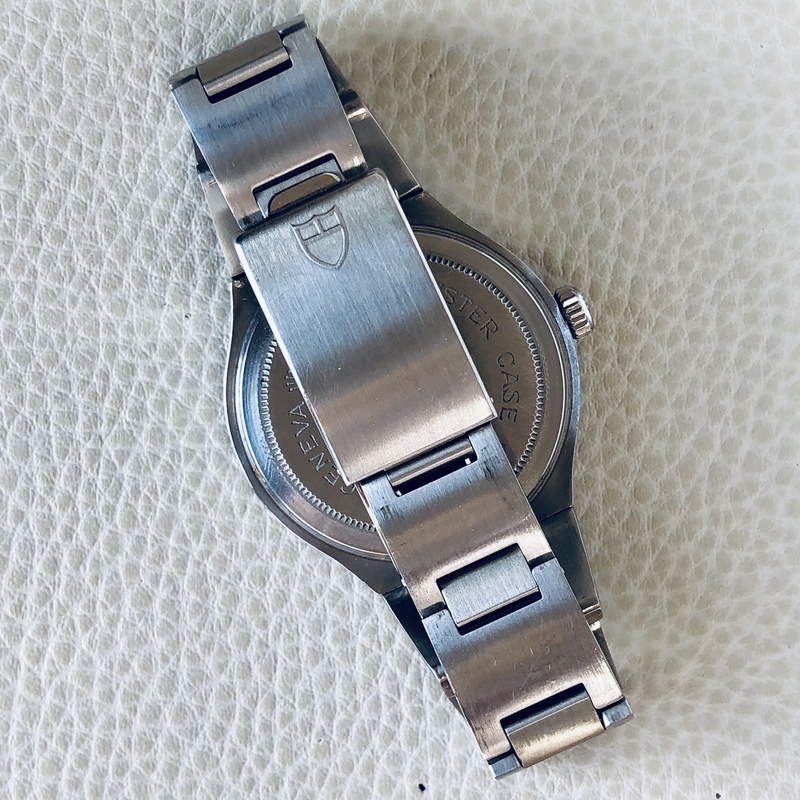 For sale this pre-owned unmolested, stainless steel Tudor Prince Oysterdate Chrono-Time (ref. 9121/0 - Cal. 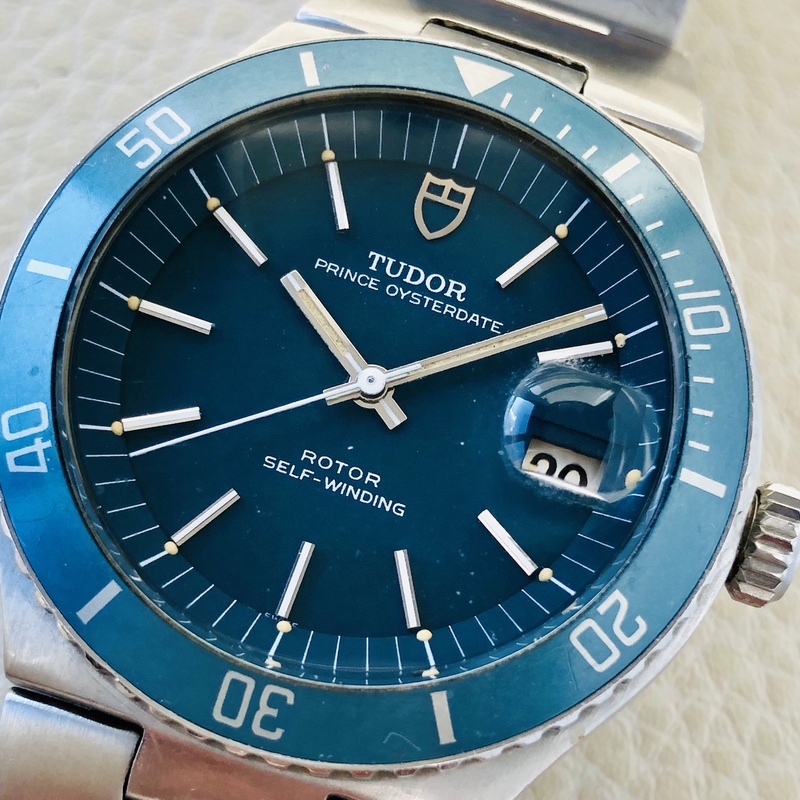 Rolex-made Tudor 2784) watch is in fantastic vintage condiciona and has undergone thorough mechanical inspections and the watch runs perfectly with good resulting parameters. 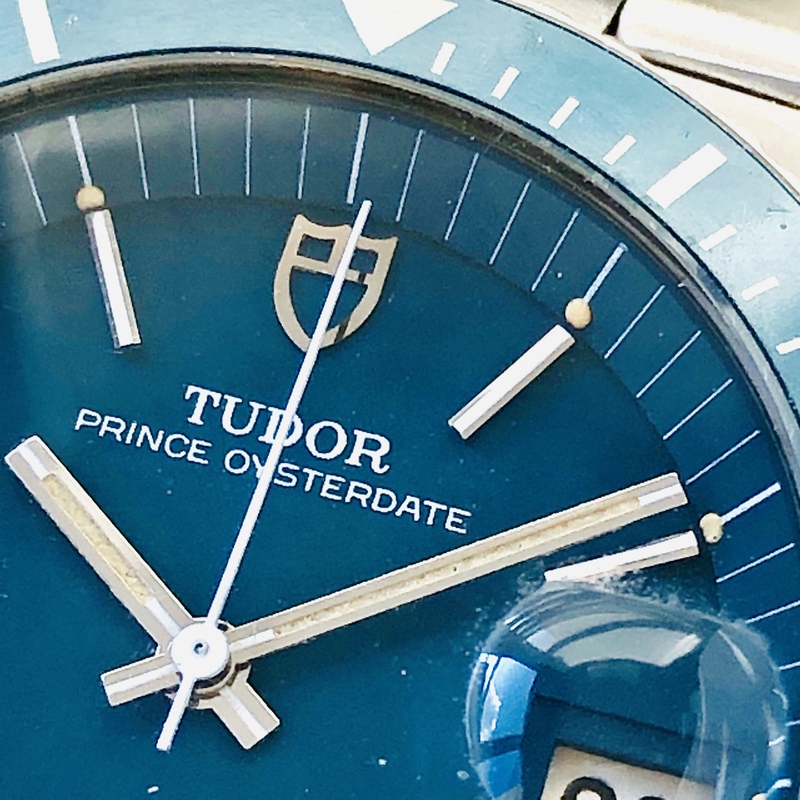 This cult Tudor is from 1978 the Prince Oysterdate ref. 9121/0 and it is guaranteed for authenticity. 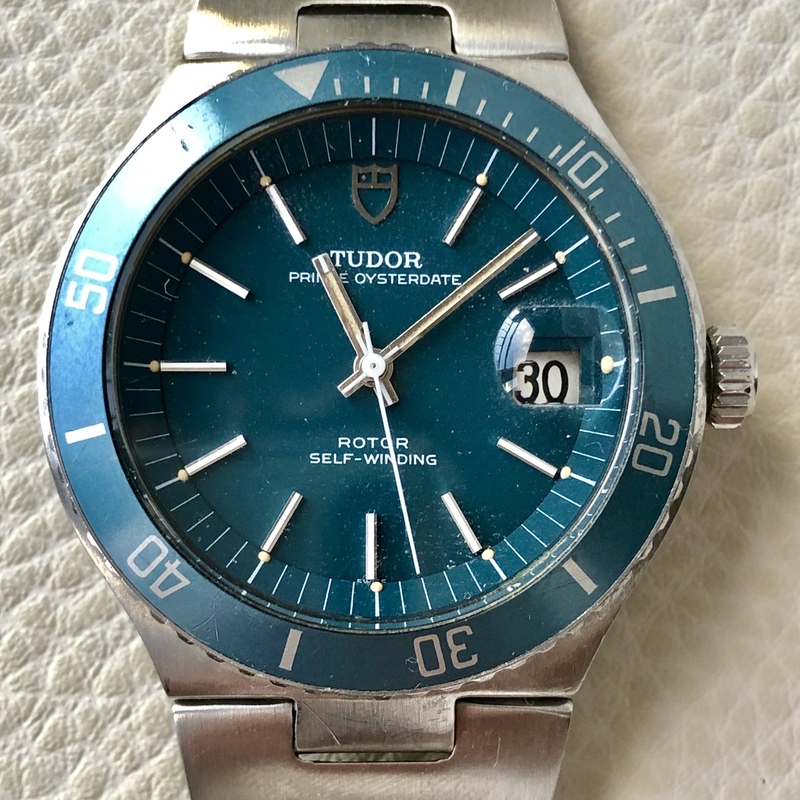 The round, tourquoise dial with original hour Tritium dots, applied index markers and luminescent Tritium baton hands has a date aperture at 3 o'clock. 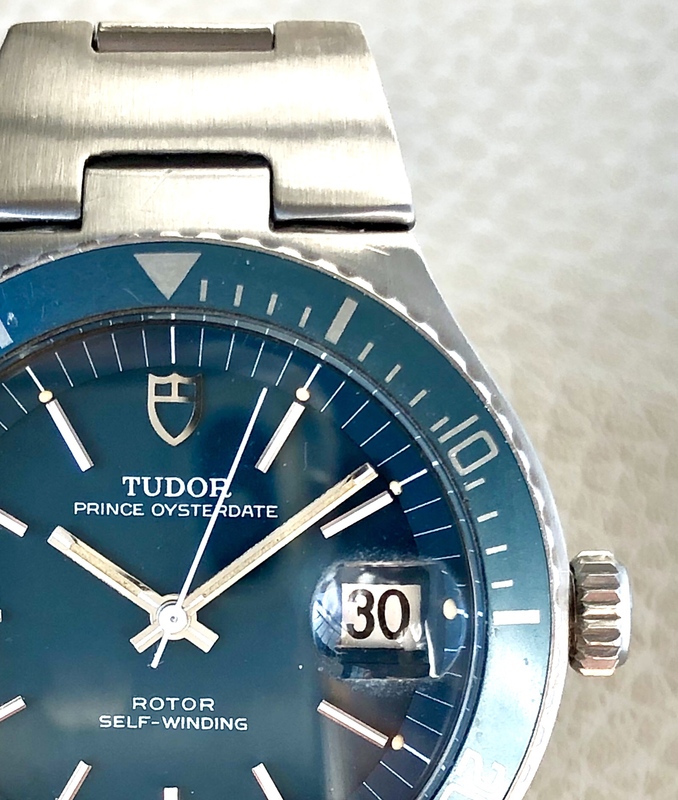 This Tudor Prince Oysterdate Chrono-Time has a its original, stainless steel Rolex-made 9585 Tudor bracelet with a stainless-steel deployant folding clasp. 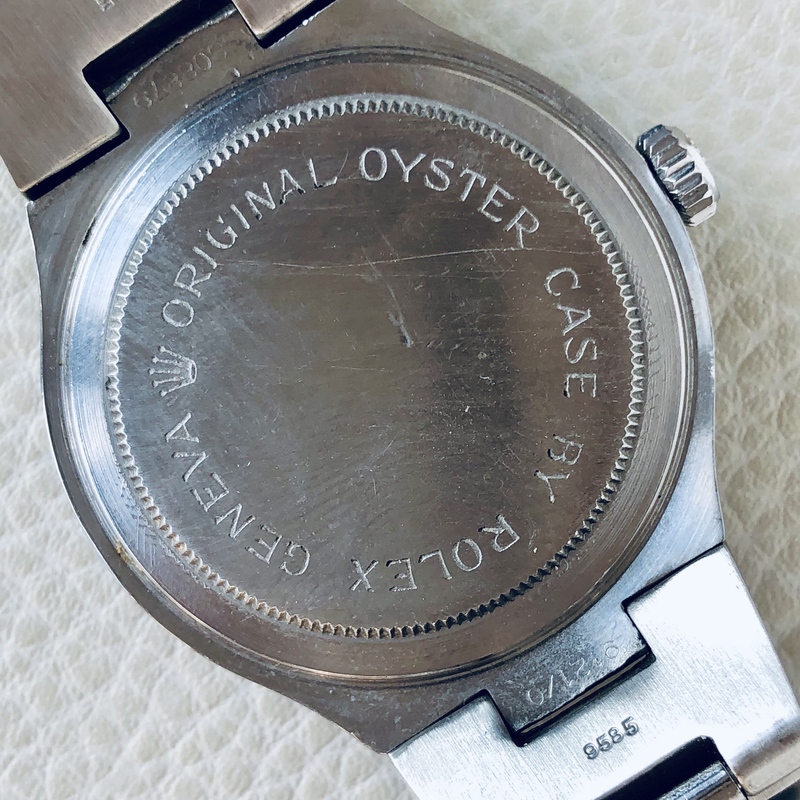 Case shows some very light wear as small dings but no major damage to be worth mentioning, only noticed a small scratch at 1 o’clock (visible in the last picture) and a ding in the center case back. 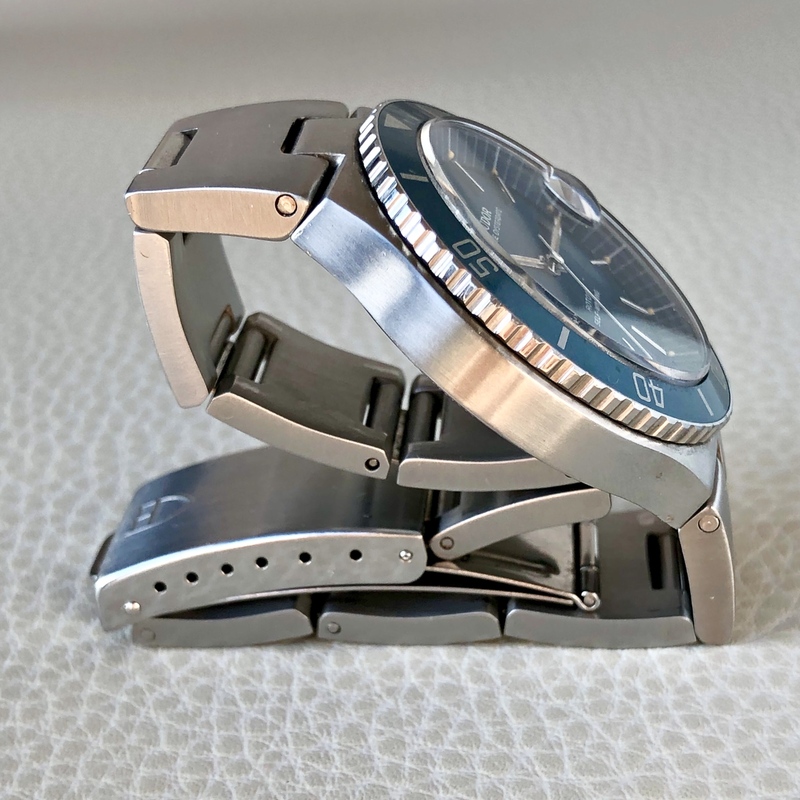 The stainless steel, tonneau case with integrated bracelet measures 38 mm in diameter with screw down Rolex crown. 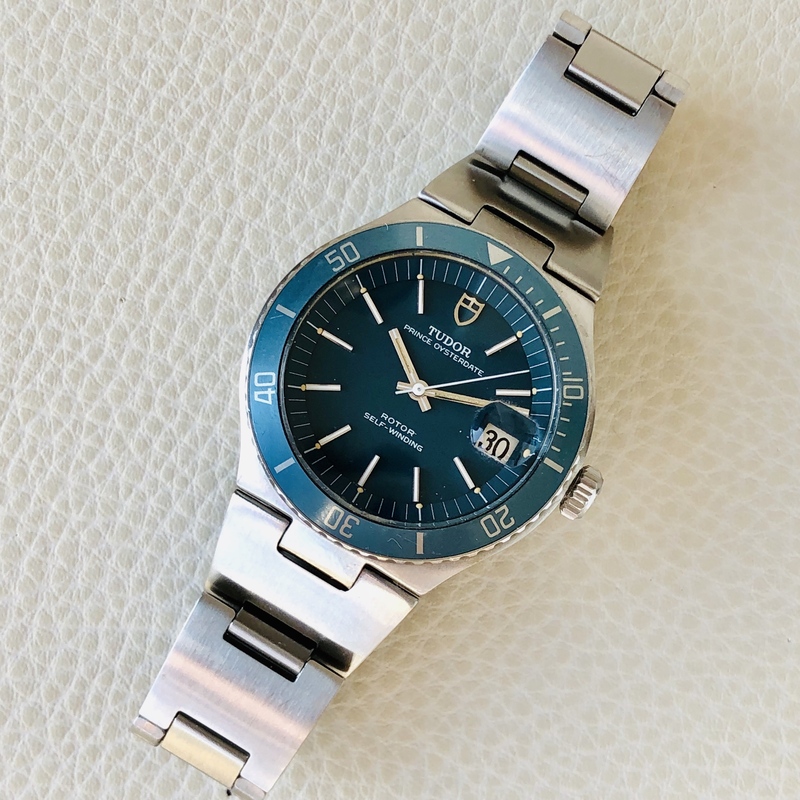 The bi-directional,faded blue, rotating bezel is original and reminiscent of a Submariner's. The original acrylic cyclops crystal completely clear and unscratched. 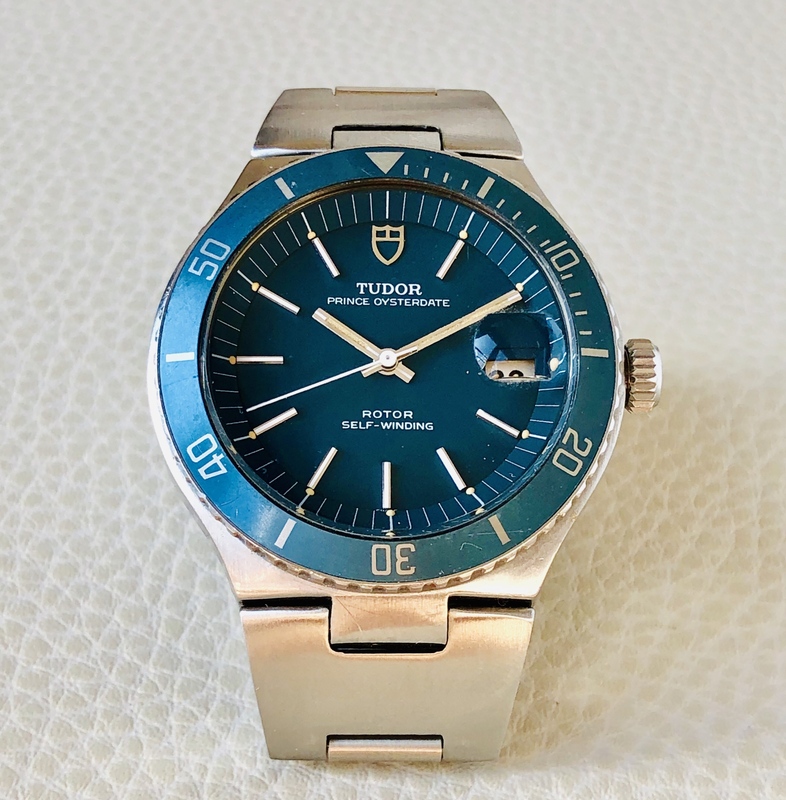 This Prince Oysterdate Chrono-Time is powered by a Tudor 2784 automatic movement. 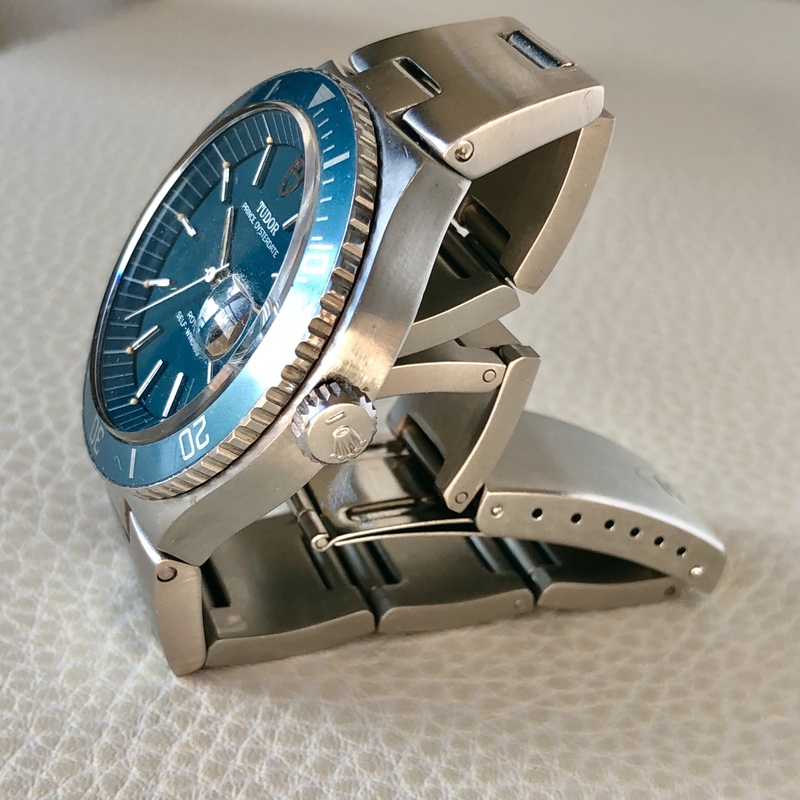 As a vintage watch, we cannot warranty its current water resistance. Asking price is now 2.300€ - Bank wire or PayPal adding 4.5% fees. I’ve many references if you would need them, my Instagram account is “ @_passion66_ “.